Cherry Mobile One and MyPhone Uno join the bandwagon of Google's Android One handsets. This Program is designed by the search company to guide makers of low-end phones on how to optimize their hardware to the fast-changing Android mobile OS. How does it differ to other local phones? Android One phones ensure the best experience for a lower-end device by the promise of a timely Android OS update. Both Cherry Mobile One and MyPhone Uno have Android 5.1 which even the flagships of the premium international brands don't have as we speak. Google also promises that these phones will be the "fastest and most responsive Android experience" in an entry-level price. This program was launched in India with three local OEMs and is targeting developing countries like the Philippines and Indonesia. Both Cherry Mobile One and MyPhone Uno Android One phones have the same feature set as the earlier released phones in this program like the Karbonn, Spice and Micromax (first Android One phones) in India. Both have the same 4.5-inch FWVGA display, 1GB of RAM, 5MP/2MP camera and MediaTek MT6582M chipset. The only difference between the two is the internal memory, Cherry comes with 8GB right off the bat. 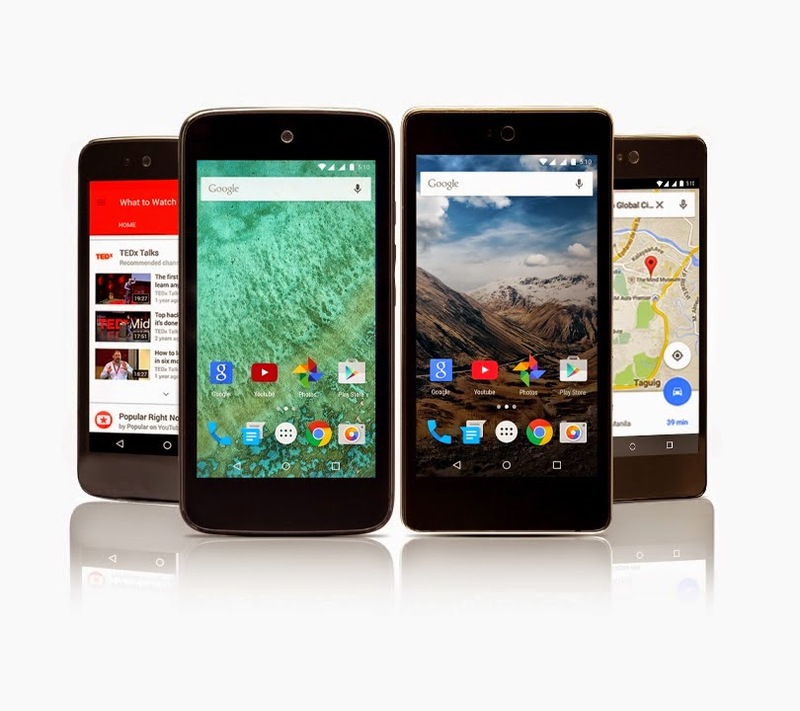 Android 5.1 Lollipop is the latest version of the popular mobile operating system. Its changelog stresses a big bump in the battery performance as well as the new Material Design UI. There will also be a Chrome browser data compression and YouTube offline for users to conserve their data plans. Google has partnered with Smart and Sun in bringing this devices closer to the masses. The Cherry Mobile One will be available in Smart Plan 499 which includes 1.5GB data. On the other hand, Sun is offering the device at Plan 399 with 500 initial cashout. We are also expecting both handsets to hit their respective shelves soon.